This wonderful useful vegetable oil is made according to the latest vitamin-preserving technology of hempseeds. Since ancient times, the Slavic peoples made and ate delicious and very popular hemp oil, having many useful properties, which are almost forgotten today. Hemp oil has pleasant aroma of freshly cut grass. This delicious oil adds subtle nutty pungent flavor to many dishes. Hemp oil is an excellent alternative to olive oil and butter. It is used as high-quality vegetable oil for dressing all sorts of salads and other cold vegetable meal. It is successfully used when roasting on the grill, pan-frying, as well as in marinades and sauces. According to the chemical composition, hemp oil is the closest to the linseed oil but as opposed to it this tasty oil has delicate nutty pungent flavor. Hemp oil along with linseed oil, green leafy vegetables and fish oil is one of the few food products that contain the necessary for our body inactive form of polyunsaturated fatty acids, i.e. OMEGA-3. Apart from the many vitamins that are so rich in hemp oil, it contains minerals of zinc, calcium, iron, manganese, phosphorus, potassium and sulfur. Valuable unsaturated fatty acids contained in the oil dry out harmful cholesterol from our body and increase immunity. Besides, hemp oil contains bactericides, glycerides and amino acids. Two important fatty acids contained in hemp oil are needed for growth and maintaining the cell membranes. These are linoleic and alpha-linoleic acids. Unrefined hemp oil contains up to 60% linoleic acid. Alpha-linoleic acid is mainly contained in algae, in shellfish meat and fish oil. Only a few seeds of higher plants contain substantial contents of this essential acid: hemp, flax and soy. Location of essential fatty acids in hemp oil is one of the most favourable for an individual. The need for these essential fatty acids by the body may be satisfied with 2-4 teaspoons of hemp oil per day. in chronic and acute bronchitis. Hemp seeds have been used for food by humans for a long time. According to scientific research, hemp seed is just a fantastic food product that contains almost all the necessary amino acids, unsaturated fatty acids in an optimum ratio, a lot of vitamins and microelements. 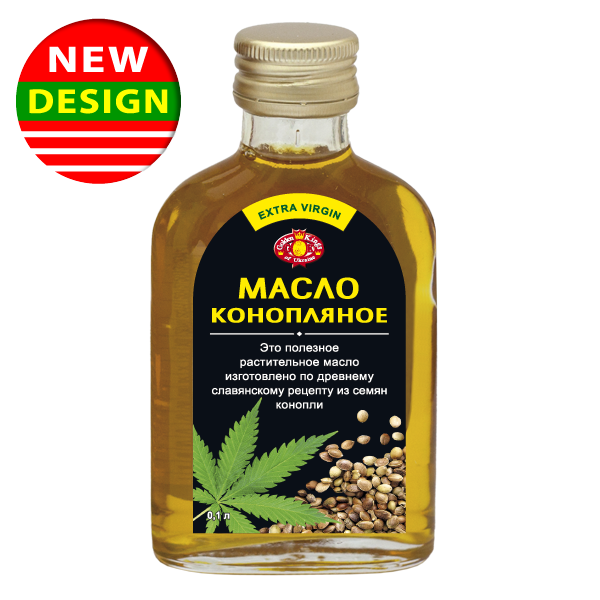 For centuries in Russia people made oil of hemp seed, which was deservedly famous for its nutritional and medicinal qualities. This oil, together with linseed oil, was the main vegetable oil in the ration in Russia but in the 18-19th centuries it gradually yielded the pas to the cheaper sunflower oil. Recently, however, with the efforts of enthusiasts production of hemp oil gradually restores, and consumers can see the product on store shelves once again. This oil has a bit strange light green colour, nice aroma and a slightly sour taste. 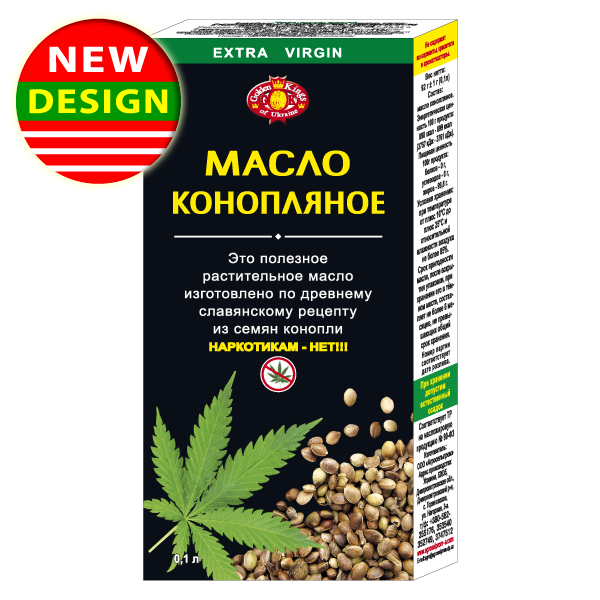 It is produced of hemp seed by means of cold press, so it fully retains all the useful qualities of the original product. Hemp oil as health food made its name only recently, but declared itself very convincing. Hemp oil is a rich source of OMEGA-3 fatty acids, which are sometimes in severe shortage for the human body. tetrahydrocannadibiol is a substance, having the strongest psychoactive effect. Its concentration in hemp oil is very low (and in some kinds of this oil is absent), somewhere 1:1000000. In order to show some of its effects, it is necessary to drink at the same time about 6 to 9 liters of hemp oil, which is practically impossible. In recent years anticancer activity of this substance has been proven. cannadibiol is a substance, which does not have any effect on the psyche, but it has a direct impact on the system of anandamides, which are produced by the human body and are responsible for the body's response in the event of the immune system failure. Probably no one would argue that the human body needs fats for full metabolism processes. But there are only two types of fat that cannot be synthesized by our body on its own. These are OMEGA-3 and OMEGA-6fatty acids. And they are needed by the human body in a certain ratio. So, this ratio contained in hemp oil is very close to ideal. For comparison, we present data on the ratio of OMEGA-3 to OMEGA-6 in other oils, containing them: hemp oil - 1:3, linseed oil – 4:1, rapeseed oil - 1:2, soybean oil - 1:7. This oil is a product of high biological activity, proven by the long history of its use! In addition, hemp oil is perhaps the only stuff, which is absorbed almost 100% by the human body. Hemp oil is not just a unique foodstuff but also an effective and absolutely natural medical prophylactic means. 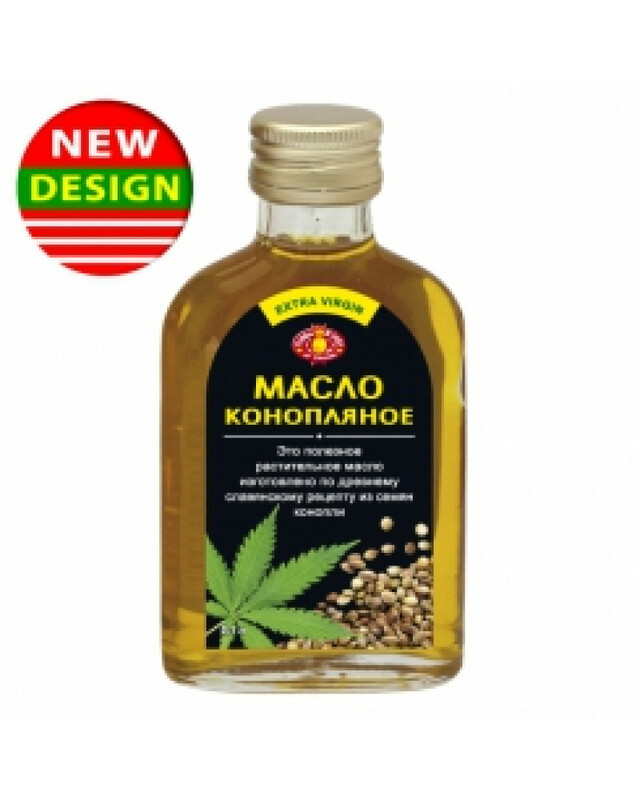 Regular using of hemp oil as a food product is recommended by the official medicine as well as by folk medicine. Cardiovascular system. Hemp oil includes Omega-3 and Omega-6 fatty acids (providing their most optimal ratio for health) and phytosterols. And due to this it has hypocholesteremic effect i.e. it lowers the level of harmful cholesterol in blood and promotes vessels purification from cholesterol plaques. In addition hemp oil contains vitamins C, E, B6, potassium, magnesium, manganese having a beneficial effect on the state of vessels and cardiac muscle. Hemp oil is recommended to be regularly included to food ration of people suffering from atherosclerosis, hypertension, coronary heart disease, thrombophlebitis, varicose veins. And of course this product can be an effective prophylactic means of these diseases alongside with cerebrum thromboses (strokes) and infarcts. Hematogenesis System (blood production). Hemp oil contains chlorophyl, ferrum, Zinc taking part in blood cells synthesis. This product is recommended to be included to food ration of people suffering from anemia. Respiratory system. Yet during the 90s of the previous century it was proved that hemp oil is effective in complex treatment of respiratory and asthmatic infections of upper and lower respiratory tract. It is recommended to include hemp oil to the food ration of people suffering from catarrh of the upper respiratory tract, acute bronchitis and chronic bronchitis, bronchiolitis, pneumonia, asthma, tuberculosis. Digestive system. Regular use of hemp oil as a foodstuff has a beneficial effect on digestive tract as a whole. It has a slightly anesthetic, sedative, wound healing and anti-inflammatory actions. It is indicated in case of gastritis, colitis, enteritis, gastric ulcer and intestine ulcer, cholecystitis, hemorrhoid. In addition to this hemp oil has a slightly laxative action and it should be included to food ration of people inclined for constipations. Oncological diseases. In 1991 a interview of leading specialists in the sphere of oncology was held It was found out that 60 % of them use hemp oil for complex treatment of people suffering fron cancer in order to lessen the side effect of chemotherapy. Chlorofill is a substance which has an antitumoral action. It is chlorophil that gives a grin tint to this oil. Skin, hair, nails. First of all we would like mention absolutely healthy people who take care about the state of their skin, hair and nails. Researches have shown that hemp oil regular taking in ammounts of 2 table spoons a day before meals will provide you with soft healthy skin and strong nails. And your hair will receive healthy lustre and will grow swiftly. Hemp oil has shown good results in complex treatment of dermatological diseases It is recommended to include hemp oil to food ration of people suffering from vitiligo, psoriasis, eczema, dermatitis, acne, skin lupus. This product can be used for treatment of skin redness, burns, boils (abscesses), long healing and inflamed cuts and wounds. Musculosceletal system. Hemp oil has an anti-inflamatory, sedative and slightly analgesic action. Alfa-linolenic acid this product is rich for can activate processes of Calcium assimilation and that contributes to bones strengthening. It can be used in complex treatment of rheumatoid arthritis, arthrosis, osteoporosis, osteochondrosis, stretches, bruises, bone fractures. For women Regular use of hemp oil as a foodstuff can reduce negative manifestations of premenstrual syndrome, improve cenesthesia during the period of menopause. There is practice of using this product in complex treatment of menstrual disorders, ovarian cyst, mastopathy. It is recommended to regularly use hemp oil as a foodstuff for pregnant women and nursing mothers. Vitamin E and unsaturated fatty acids are really necessary for sound foetus development. In addition to this hemp oil can prevent delay of liquid which is an often praxis during pregnancy especially at the end of this period. During puerperal period regular use of this product as a foodstuff facilitates a swift mother's recovery, it strengthens mother's immunity and protects both the mother and her baby from various infections, it improves lactation and mother's milk quality. For men. Regular use of hemp oil as a foodstuff causes a favorable influence on men's genitourinary system. This product can be a prophylactic mean against prostate adenoma, impotence, prostate gland cancer. 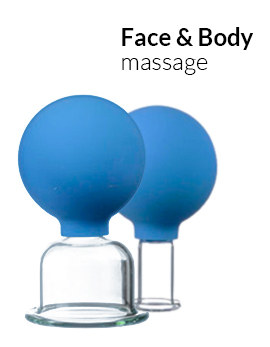 There is practice of using this product in complex therapy of prostate diseases. For children. Child's organism needs unsaturated fatty acids, vitamins, microelements for its full-range development. Hemp oil can be the main source of Omega-3 fatty acids and an additional source of vitamins and microelements. It should be taken into account that this product is fully natural and is almost completely assimilated by human organism. Nervous system. Hemp oil has a beneficial effect on the nervous system. It is recommended to include this product into food ration in case of neurosis, insomnia, and infantile autism, various behavior disorders, hyperactivity, attention deficits syndrome, backwardness of psychomotor reactions. Urinary system. It is recommended to include hemp oil to food ration of people suffering from various diseases of kidneys and urinary bladder. Metabolism. If regularly used hemp oil facilitates metabolism improvement. It is recommended to include hemp oil to food ration of people keeping a diet for loss of weight. Specialist who studied hemp oil agree that regular use of this product as a foodstuff facilitates normalization of major life processes in human organism.